Browse in a bookstore and you will, more often than not, discover unexpected treasures. One of these is Watching Wildlife in Prince Albert National Park by J. David Henry, a must-read for anyone who loves animals and has spent happy holidays observing the elk, loons, and other wildlife in Prince Albert National Park. 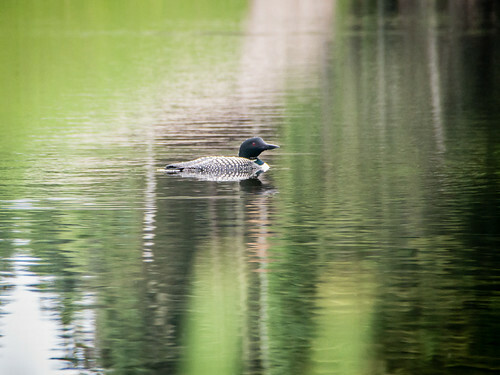 J. David Henry is a retired wildlife ecologist, university professor, and conservation ecologist for Parks Canada. 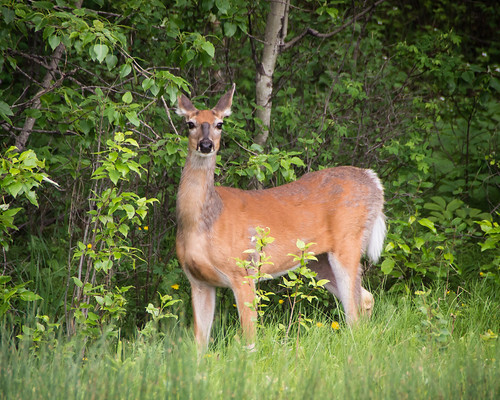 The book is self-published and describes seven wildlife species that visitors frequently encounter in the park – Whitetail Deer, Elk, Beaver, Red Fox, Red Squirrel, Common Loon, and Black Bear. Reading this book is like holding a conversation with the author as he describes the animals that he loves so dearly and shares so many fascinating tidbits of information. 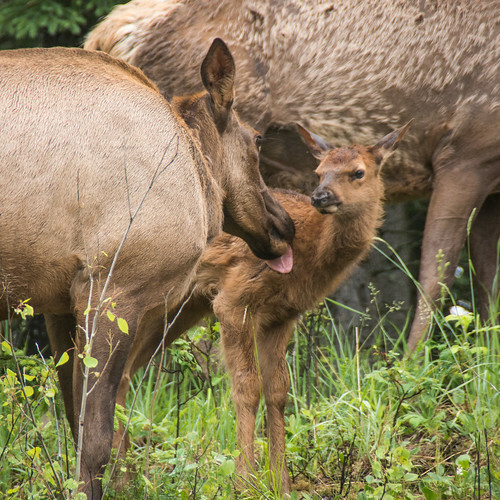 Male elk are in their prime when they are 7-10 years old and will have a harem of 20 or more females. But it’s unclear who is in charge of the harem. The females may be the ones who lead the harem to a new location and they may choose to be included in the group in order to gain protection from other males. 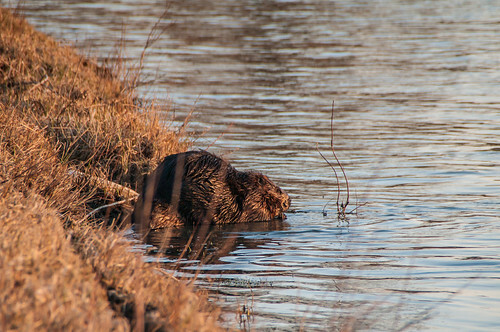 Beavers sharpen their teeth by grinding the top incisors against the bottom ones and vice versa. If a beaver is cutting down a large tree, it will stop every 10 to 15 minutes to rest and sharpen its teeth. You may even see flecks of tooth material shooting out the sides of its mouth. 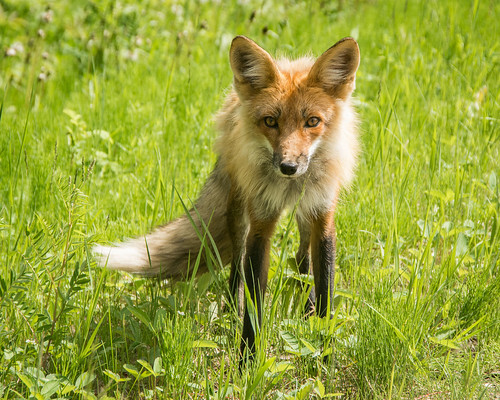 Red fox, like cats, can see well in the dark thanks to a shiny membrane on the back of the eyeball. It acts like a mirror so light passes over the retina twice instead of just once. 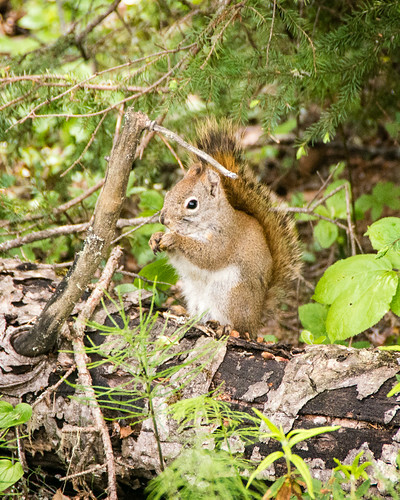 Red squirrels will harvest up to 14,000 seed-bearing cones in preparation for winter. The cones are often stored in large underground middens with a network of tunnels. The middens are easy to identify thanks to the pile of cone scales that are discarded above ground. 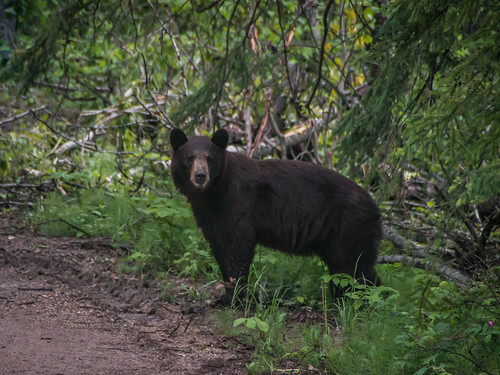 If a mother bear spots danger, she signals to her cubs and they immediately climb a tree. Then they promptly fall asleep until their mother calls to let them know the danger is past and they can come down again. A small herd of plains bison roams freely in the southwest corner of Prince Albert National Park (Stewardship: A Critical Role for Landowners). The story of how they came to be there is an interesting one and well documented in the book. 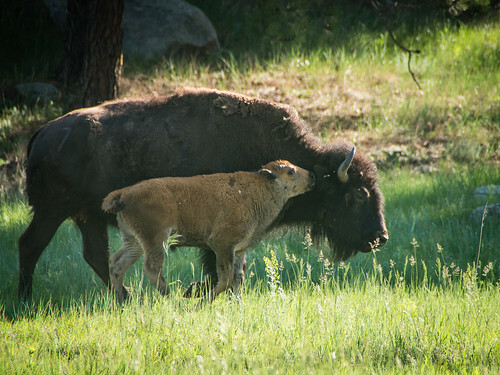 Unlike black bears, bison calves are born in a well-developed state. By the time they are three hours old, they are able to run and keep up with the herd and will start nibbling grasses immediately, although most of their nutrition will come from the mother’s milk during the first six months of life. Watching Wildlife in Prince Albert National Park by J. David Henry is available for purchase at McNally Robinson Booksellers in Saskatoon. It is available at the Saskatoon Public Library.